I have been anxiously waiting for the month of October. Not only because it extends deeper into fall with cooler weather and beautiful changing leaves, but because it is time for The Nester's 31 Days! This year it has its own website! Last year was the first year I focused on my love of fall. 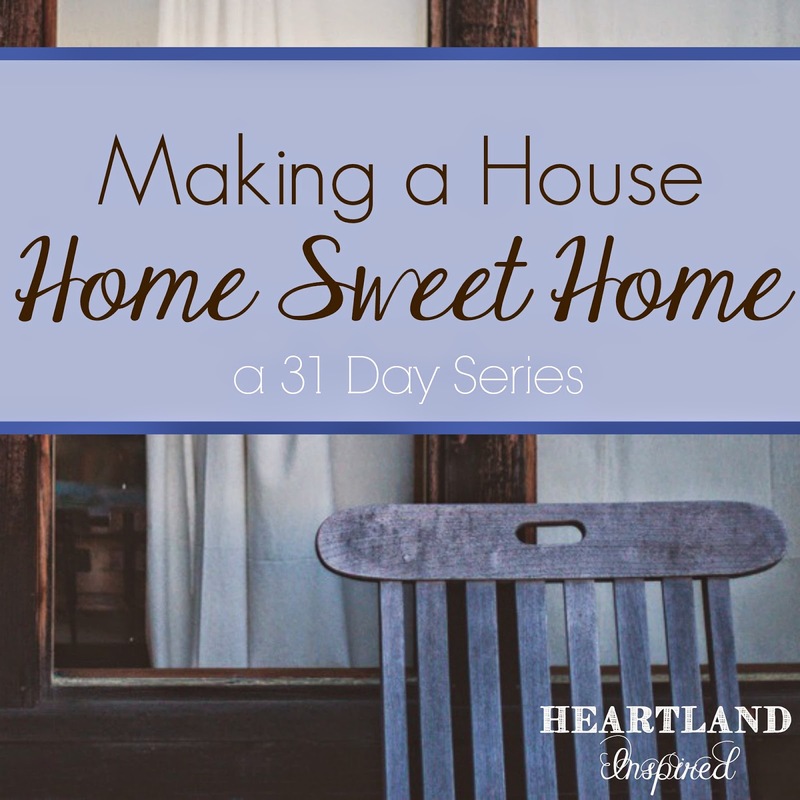 This year, my choice of topic was easy - Making a House Home Sweet Home. When I first started thinking about my specific blog posts months ago, I had a bunch of ideas like picking out paint colors and adding pictures to the walls. But at the moment, the only thing I have done is paint. I don't have a lot of furniture and definitely have nothing on the walls yet. Instead, I am sharing what I am doing in the meantime - limited decorating, stocking my freezer and pantry with staples, cleaning. I will also be sharing verses that talk about hospitality. My desire is that my home is a place where people feel comfortable being and where I love living. Hi Colleen! I'm an apartment living newlywed and I'm always looking for ideas to help make our standard apartment feel like home. I'm excited to follow along on your 31 days post! Thanks for stopping by, Cathy! I just moved into my first house after apartment living, so I can completely sympathize with trying to make an apartment feel like home. I hope you find some good ideas!